Keep all of your cosmetics in one place with this on-the-go case. 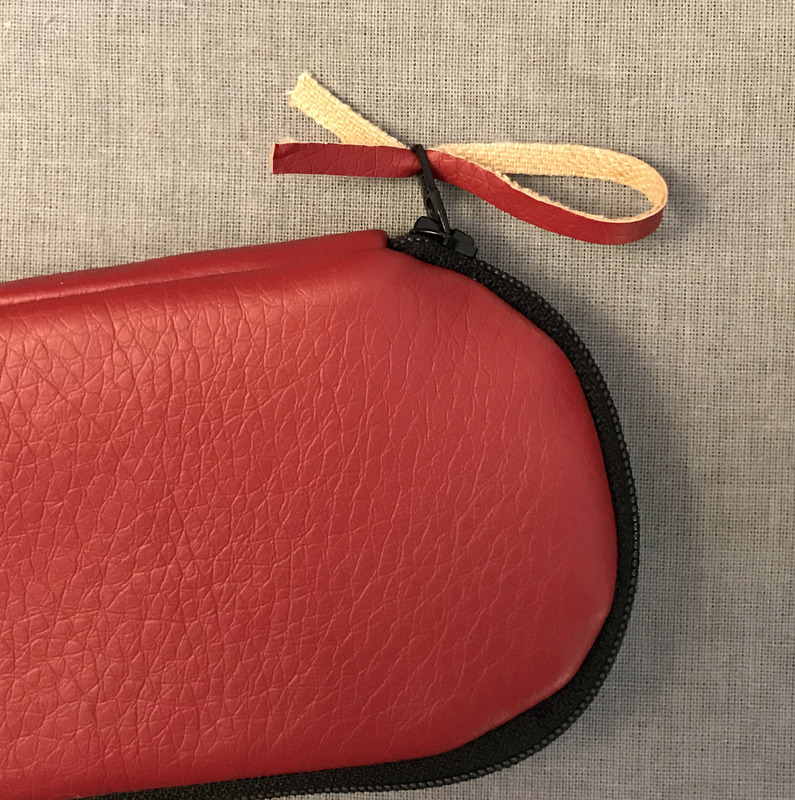 Ever since I started carrying cosmetics with me on a daily basis, this makeup pouch has been a lifesaver. It holds all my brushes and larger items, which would otherwise be impossible to find at the bottom of my purse. 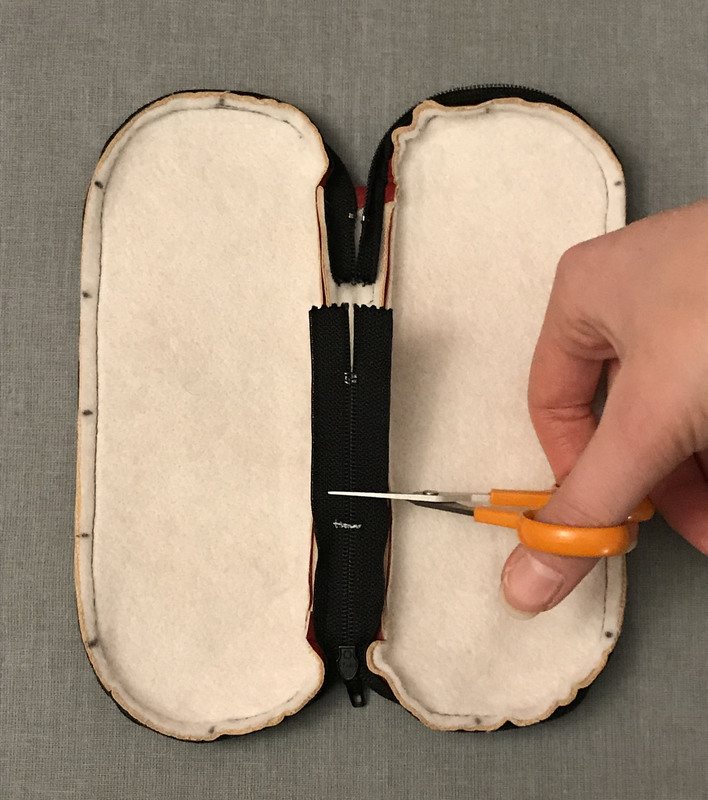 Better yet, this sectioned zipper case could just as easily be used as a small on-the-go sewing kit or knitting pouch. I sized this pattern to fit my tools. Feel free to scale the pattern up or down to accommodate your essentials. Note: Pins can leave permanent holes in faux leather. 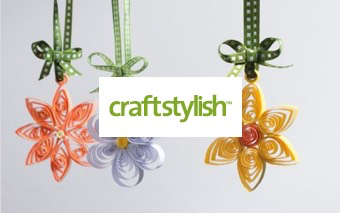 Therefore, be sure to place pins within the seam allowances, or use small binder clips or Clover Wonder Clips to hold fabric layers together. 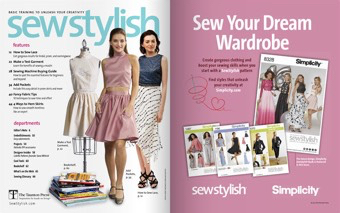 In addition, all seams are to be sewn using 1/4-inch-wide seam allowances, unless otherwise indicated. 1. Use the pattern. 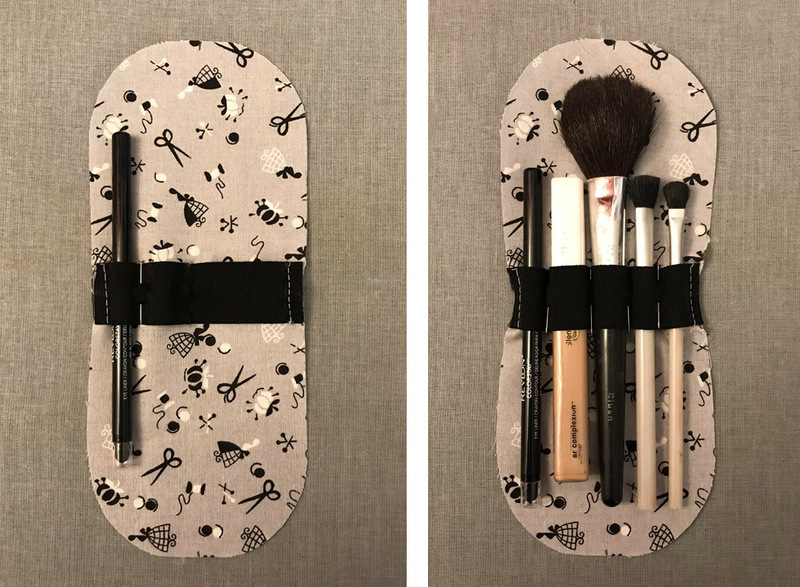 Print the downloadable Makeup Pouch PDF pattern (click View PDF link at the bottom) at full size, without scaling the image. 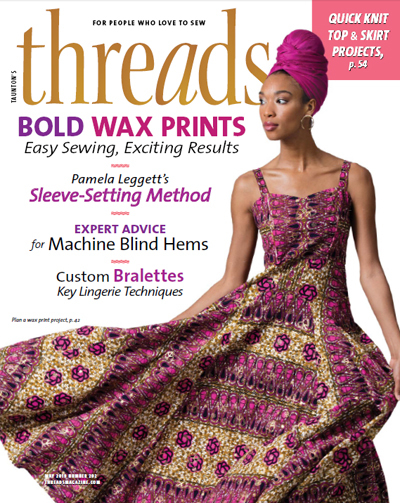 Use the 1-inch square on the pattern as a guide to ensure the printed size is correct. 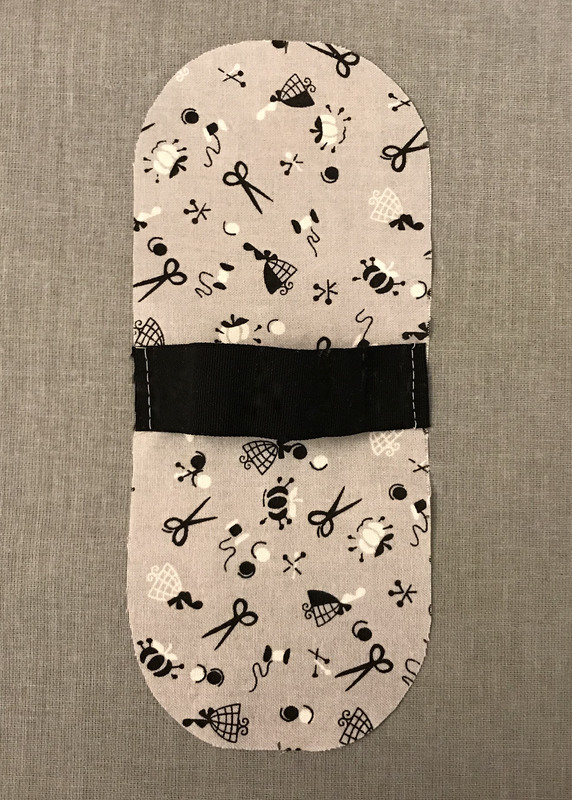 Then use the pouch base pattern to cut two exterior, two lining, and two fusible fleece pieces. 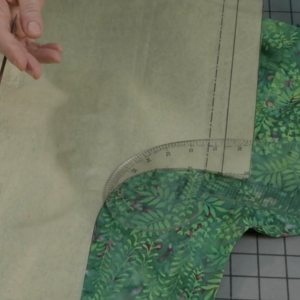 Next, use the side strip pattern to cut one exterior, one lining, and one fusible fleece piece. 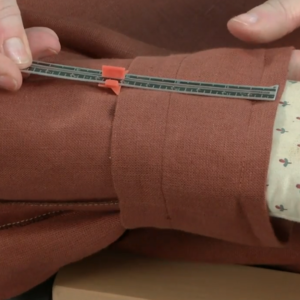 Note that 1/4-inch-wide seam allowances are already included in the pattern. 2. Fuse the fleece. Place one fusible fleece piece fusible side up and cover with one exterior piece, wrong side down. 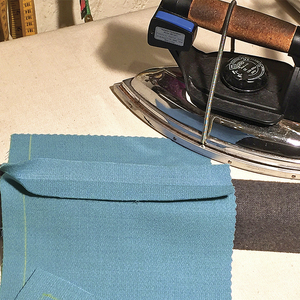 Use a press cloth and fuse in place, according to the manufacturer’s instructions. Repeat with the remaining two fusible fleece and exterior pieces. 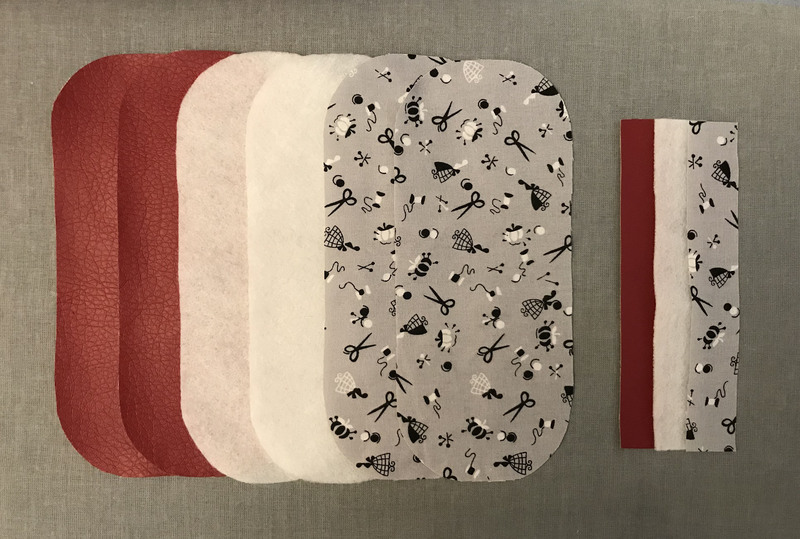 Then use a marking tool to transfer the pattern markings to the fusible fleece sides of the pouch bases and side strip. 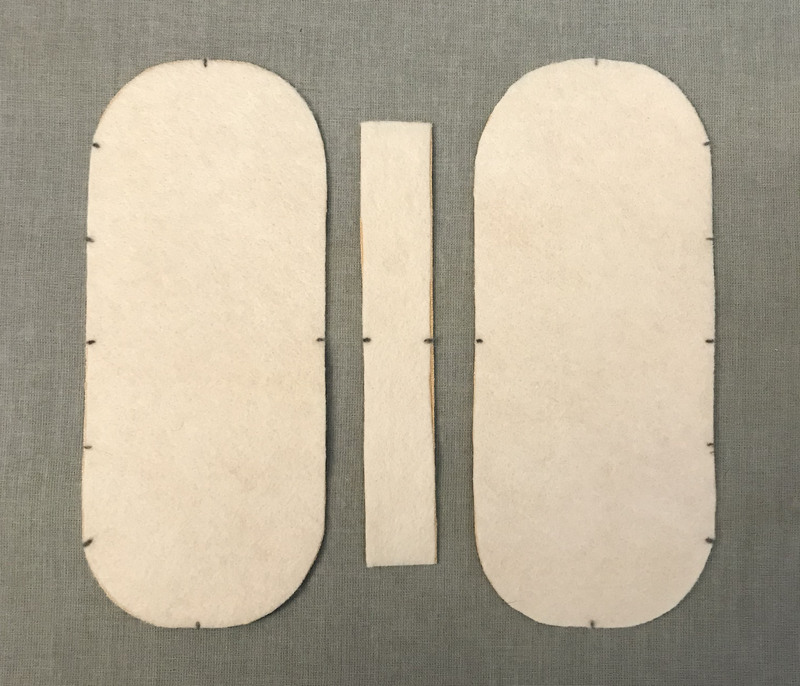 Only the center dots need to be transferred to the pouch base edges that attach to the side strip (see image below). 1. 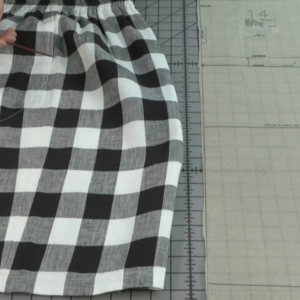 Assemble the lining. 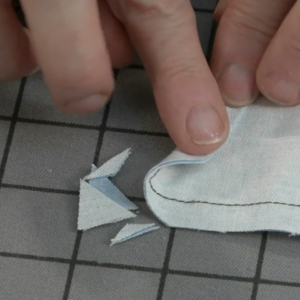 Transfer the pattern markings to the lining piece’s wrong sides, as you did in step 2. Next, turn one pouch base lining piece right side up and place the 4 1/2-inch-long elastic strip horizontally in the center of the lining, with the elastic right side up. Align the edges and baste the elastic in place a scant 1/4 inch from the edges. There will be excess elastic bubbling at the center. 2. Determine the slot widths. 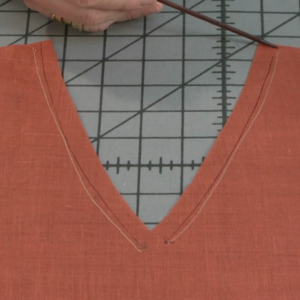 Place one cosmetic item beneath the elastic and over to the left until it meets the basting stitch. Insert a pin directly to the right of this item. Repeat with the remaining items until all of the slot widths are measured. This may take a bit of trial and error to distribute the elastic equally. If desired, mark the pin locations with chalk. 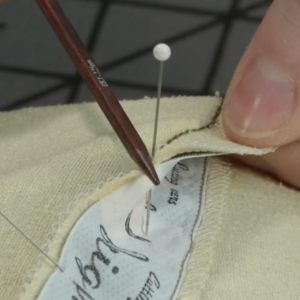 Remove the items and stitch the elastic to the lining based on the pin locations. 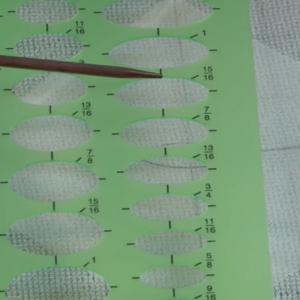 To make each section secure, stitch back and forth along each line two to three times each. 3. Create the exterior. 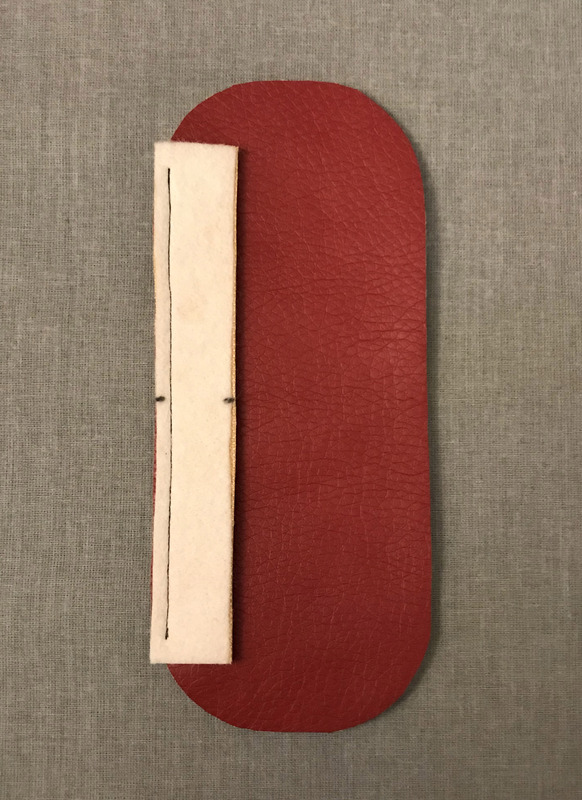 With right sides together, and markings aligned, pin or clip the exterior side strip to one exterior pouch base. Stitch, beginning 3/8 inch down from the side strip’s top edge and ending 3/8 inch from the side strip’s bottom edge, as shown. Repeat with the second exterior pouch base and again with the lining pieces. 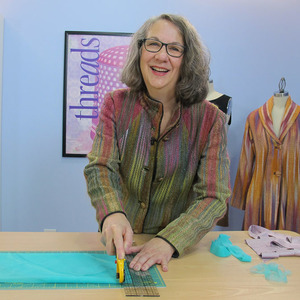 Using a press cloth, press the seam allowances toward the base pieces. 4. Insert the zipper. Unzip the zipper. 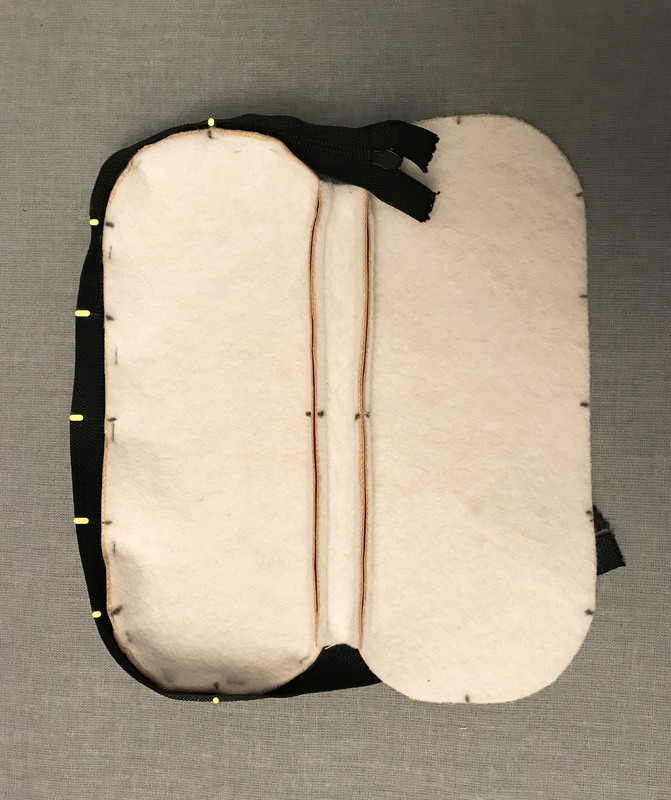 With right sides together, pin or clip the zipper’s top left (non-teeth) edge to the right exterior pouch base right above the side strip’s top edge. The zipper stop should extend about 1 inch beyond the side strip’s top edge (see the step 7 image for reference). Continue pinning until the zipper tape reaches the side strip’s bottom edge. The extra zipper tape at the bottom will be trimmed in step 8. 5. Align the other side. Carefully zip the zipper. 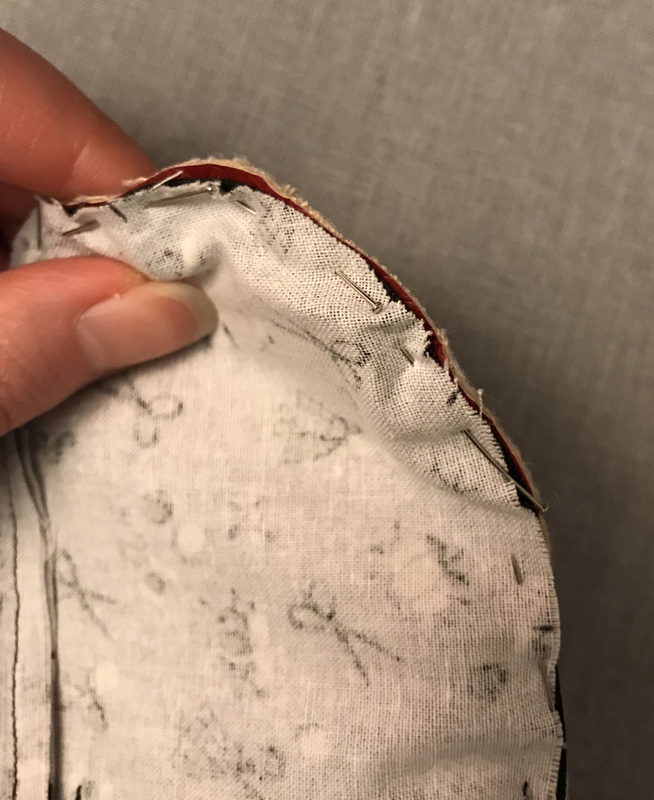 Flip the fabric to the wrong side and use chalk to transfer the fusible fleece markings to the unpinned zipper tape side (see image). 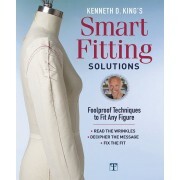 This ensures that the zipper remains even on both sides. 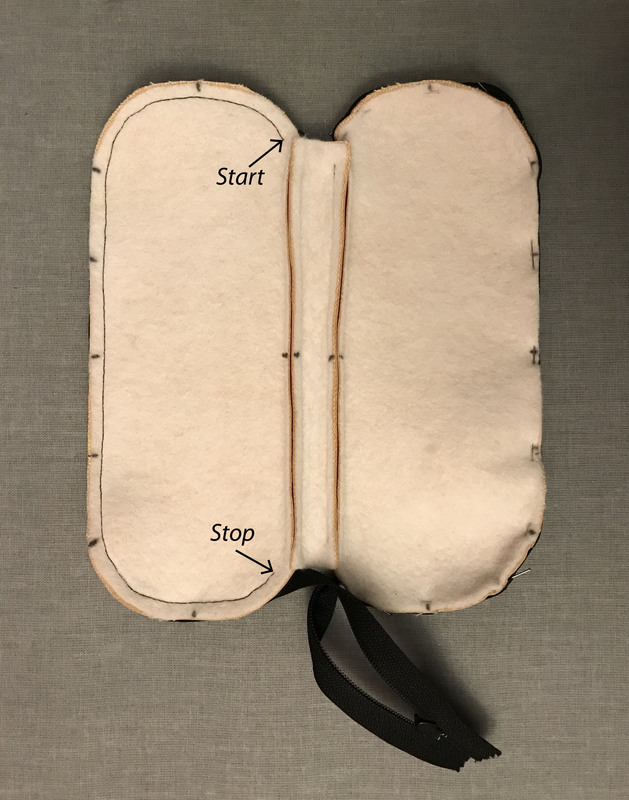 Next, unzip the zipper, flip the fabric right side up, and, with right sides together, pin or clip the zipper’s top right (non-teeth) edge to the left pouch base’s top edge in the same way as you did in step 4. This time, make sure to match markings. 6. Baste in place. With the exterior fabric right side up (not shown), baste both zipper sides to the pouch base. Use a zipper foot, if desired. Begin stitching near the side strip’s top edge and end near the side strip’s bottom edge, as shown. 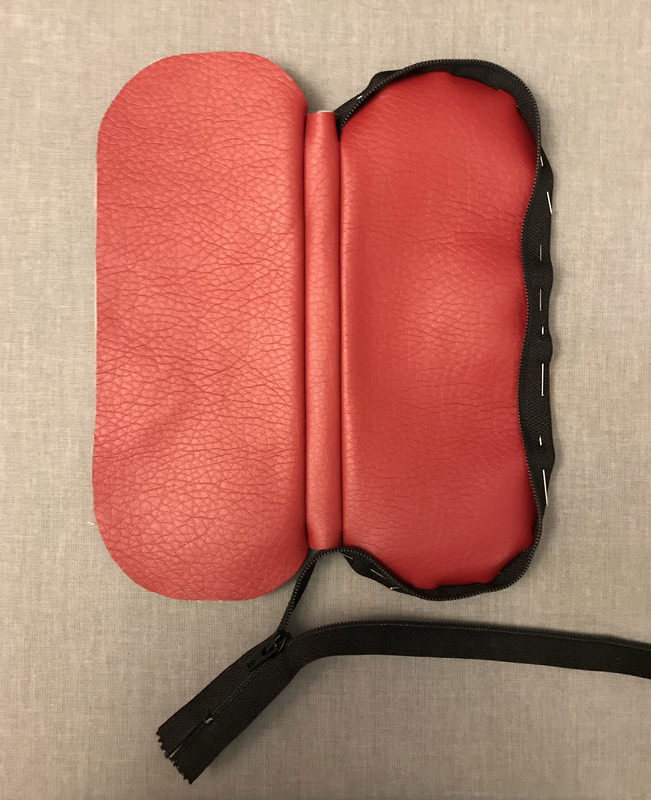 The top and bottom zipper ends will be secured to the exterior in the following step. 7. Secure the ends. With the pouch wrong side up, fold down the top unsewn 3/8 inch side strip section and finger press it in place. 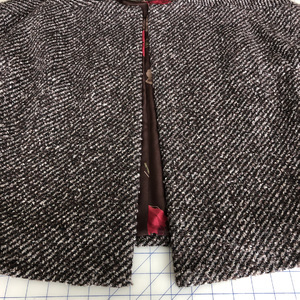 Then bring one top zipper end to the wrong side and continue pinning it in place along the side strip seam allowance. 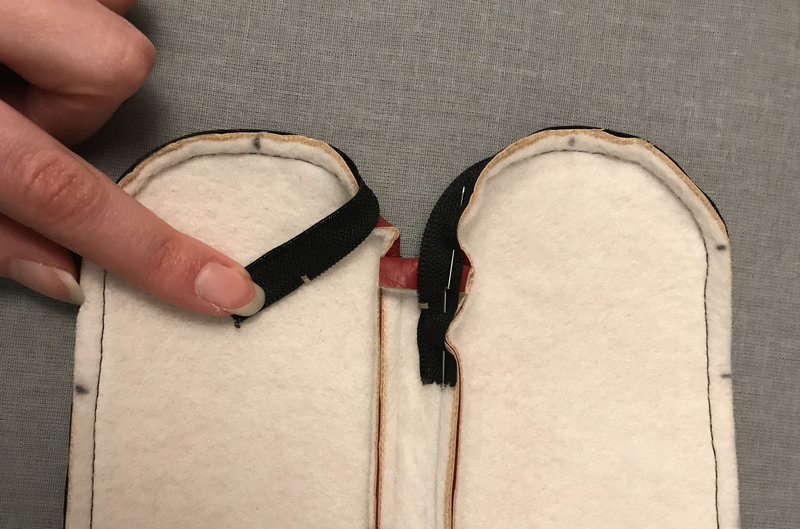 With the zipper right side up on the sewing machine, start stitching about 1 inch before you ended the basting and continue 1 inch to 2 inches into the side strip seam. Repeat on the remaining three zipper ends. 8. Reduce bulk. Wriggle the zipper slider out from beneath the side strip. Next, secure the zipper end by stitching back and forth over just the teeth several times right next to where the stitching from step 7 ends. Trim the zipper end slightly beyond the stitching. 9. Attach the lining. 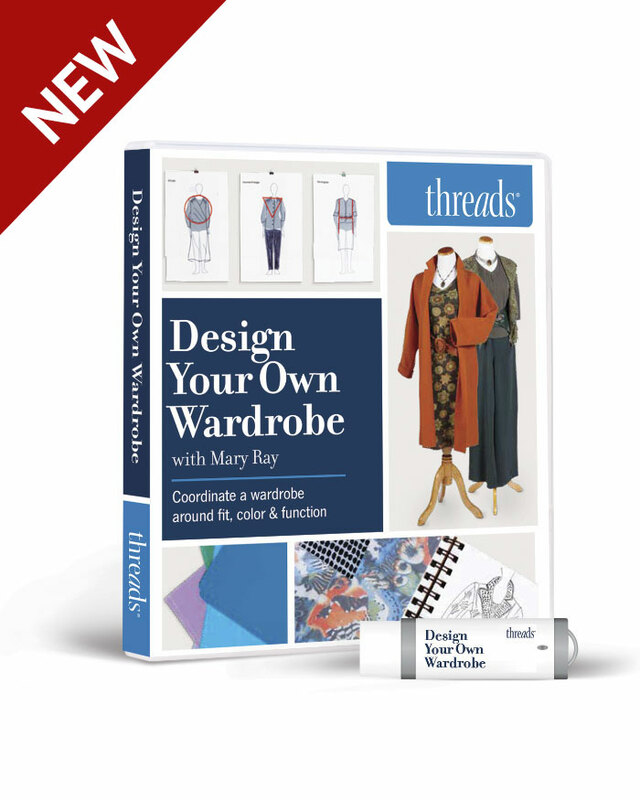 With right sides together, pin the lining to the exterior, sandwiching the zipper and matching markings. Stitch, leaving the center zipper area unsewn. This unsewn area will be used for turning. 10. Complete the makeup pouch. Turn the case right-side out and press. 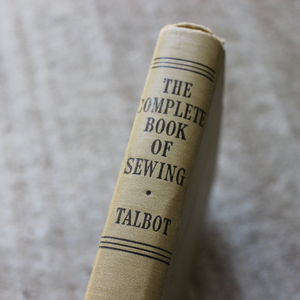 Then fold under the lining along the opening edges and hand-sew in place, making sure the stitches aren’t visible from the right side. 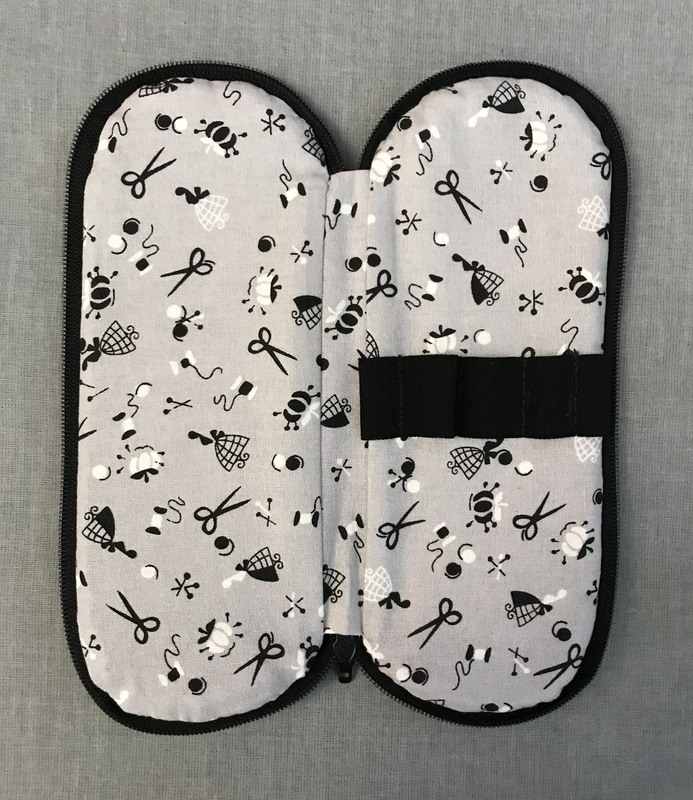 Place your tools in the elastic slots, and try out your new makeup pouch. 11. Bonus: Add a matching zipper pull. 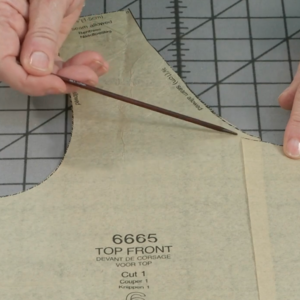 Cut a 3/16-inch-wide by 5 1/2-inch-long strip of the faux leather exterior fabric. 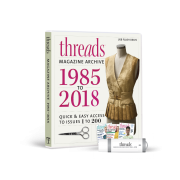 Fold the strip in half, evenly insert the raw ends through the zipper pull, thread the raw ends through the opposite end’s loop, and pull the ends securely into a knot. Finally, cut the ends at an angle. 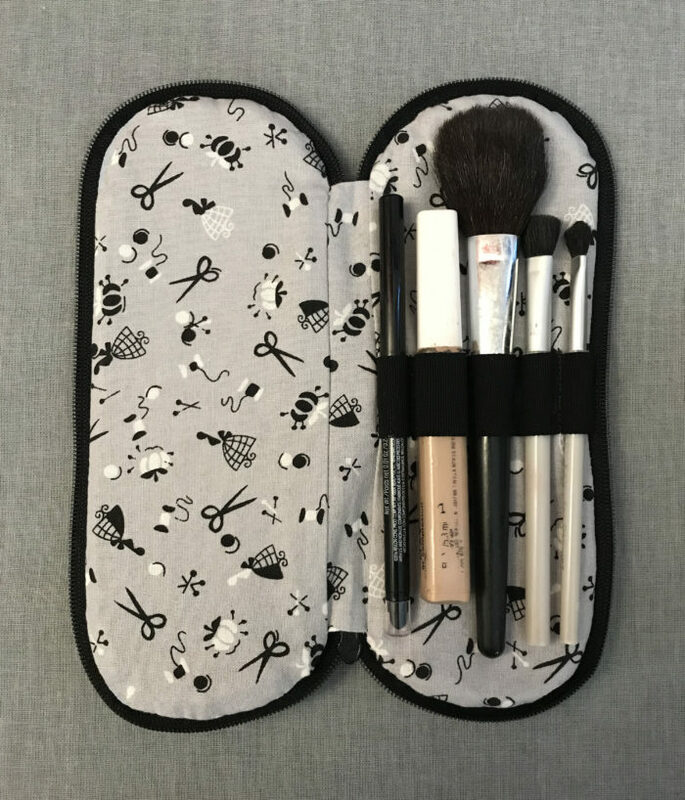 Would you use this pouch for makeup or something else? 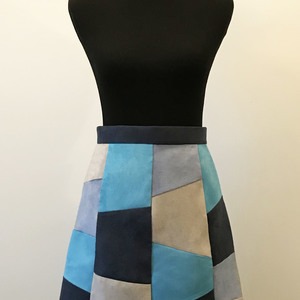 What type of fabric would you use, and would you modify the design? Please share your thoughts below. "[A]ll your cosmetics"? I see an eyeliner pencil, concealer and three brushes. That is all the cosmetics of no woman ever. It's a nice brush case, but let's be real. 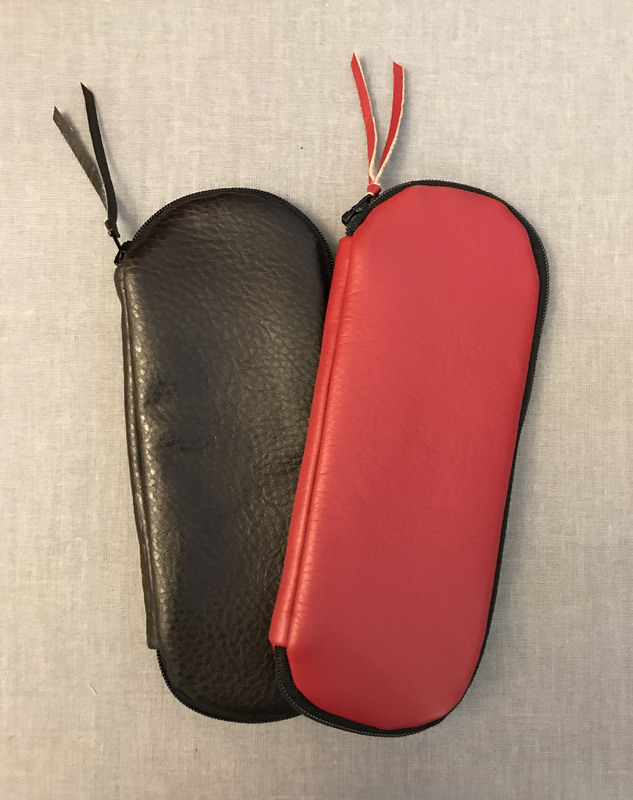 I'm with rr528: This is a nice case for one's makeup BRUSHES, but will in no way, as is, hold one's makeup. There is always the option to alter the size (or the depth) of the case to hold a few essentials, or possibly sample sizes, but certainly not full-size, everyday containers of anything except possibly eye shadow. Who wears nothing but eye shadow? Well, okay, rr528 mentioned concealer and eyeliner. But I've never worn concealer, so I stand by the lack of space for makeup in the case without significant modifications.